I love leftovers. I really do. What I love the most about them is the possibility to create something completely new out of something old. It is a bit like giving a second chance or a new life to something that many consider useless or unworthy. I also like the fact that leftovers can easily save you at the last minute. I often open the fridge and whip up dinner with whatever I have on hand. In this specific case, I had some pasta frolla (the Italian for pie crust) in the freezer and really wanted to use it up. When I opened the pantry I saw a big tub of Nutella that was staring right back at me and almost begged to be used… and who am I to say no to Nutella?? 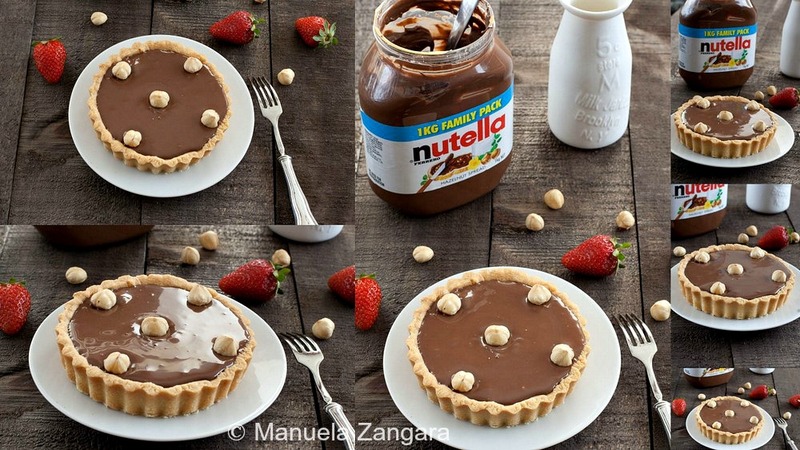 So I simply cooked the tarts and then filled them with Nutella. How easy (and delicious) is that? I can tell you, my kids love leftovers too now! Enjoy! 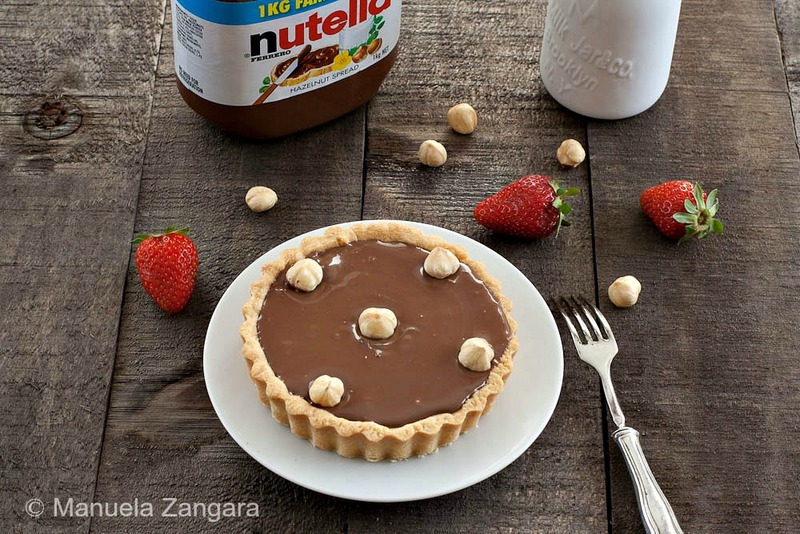 Easy and delicious tarts filled with Nutella! Take it out of the fridge, place it on a sheet of baking paper and roll it into a 1 cm – 0.4 inch thick sheet. 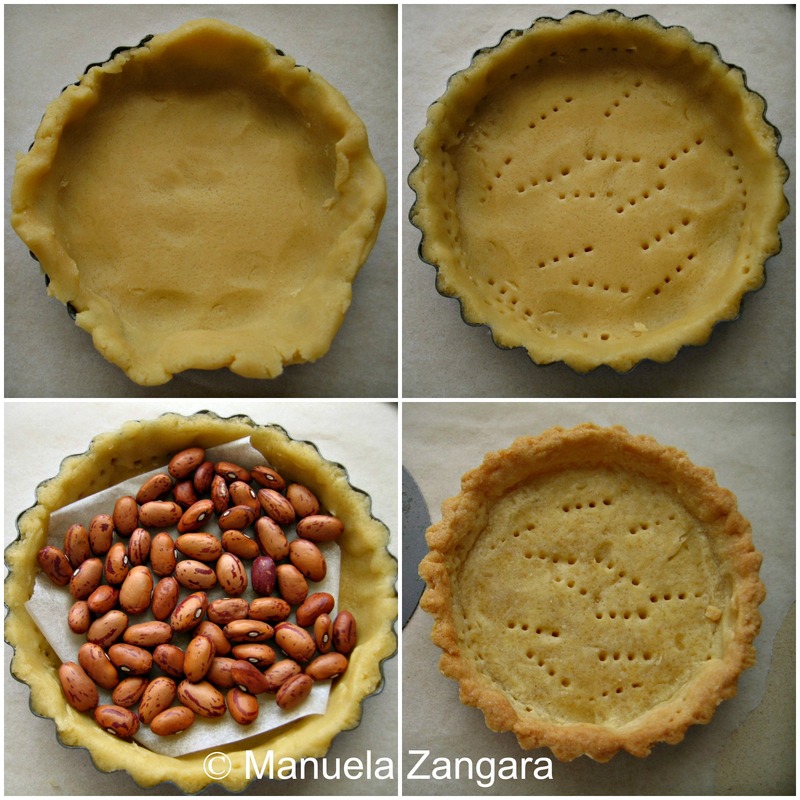 Cut 2 circles of approximately the same size as your tart tins and put the dough in the greased tins. Press it down well and make sure you have dough at the sides as well. Prick the dough with a fork. 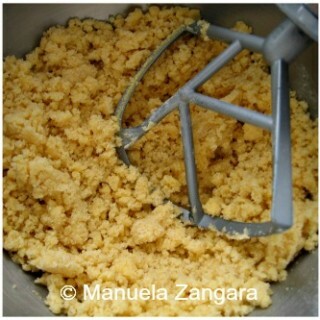 Cover with some baking paper and fill them with beans or rice so that it will not puff up while baking. Cook them in a pre-heated oven at 180°C – 355°F for about 30 minutes, or until golden brown and cooked through. 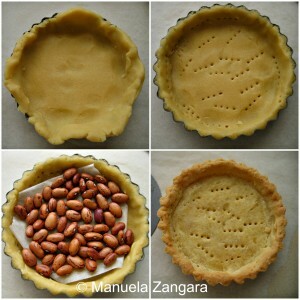 Discard the beans and let the tarts cool down completely before un-moulding and filling them. 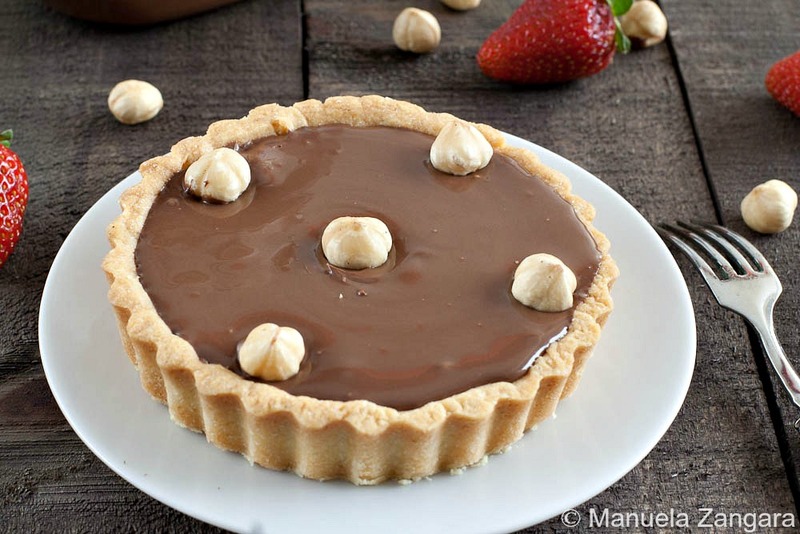 Fill the tarts with Nutella, decorate them with the toasted hazelnuts and serve. This tart looks soooo delicious!! 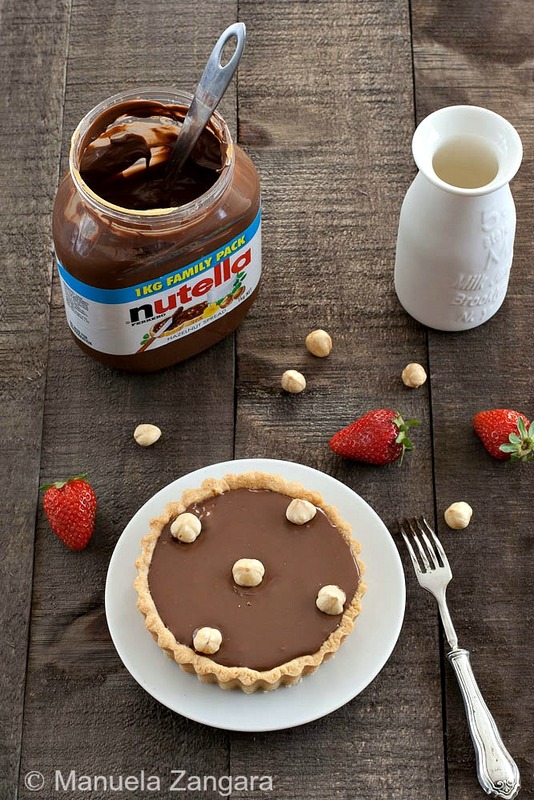 I love Nutella, prepared in every possible way! !